The best way to get ongoing coaching with both Kristen and Natalie is through The Book Ninja Academy. There you’ll have the opportunity to ask questions in the Facebook group that Kristen and Natalie will answer on your twice-monthly live Zoom calls… AND you can attend those calls to ask more questions! 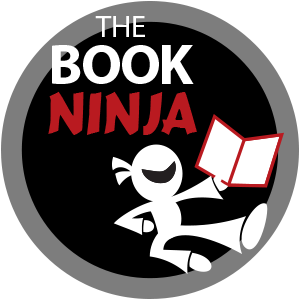 Join The Book Ninja Academy TODAY and Save! Want to get some deeper clarity and one-on-one guidance? Your book business is going to be just as unique as you are (it’s a reflection of you, after all). It’s time to draw out your brilliance so you can really start to live the way you’re designed to. Natalie is here to help guide you into discovering your own unique path and then put practical steps into place to start making it all happen. In alignment with your Element and Human Design, creating your own Brilliance Blueprint. She has a unique ability to be able to pinpoint what’s working and what’s not working for you, where your energy is off and when it’s in alignment. She’s straightforward with her clients (Kristen’s had more than a few calls with her and can attest to this fact! ), holds the space for your big visions, helps you get out of overwhelm, and can guide you through building and improving your life and business one step at a time. Interested in learning more? Click here to read more about what Natalie can do to help you… OR click HERE to schedule a free call! 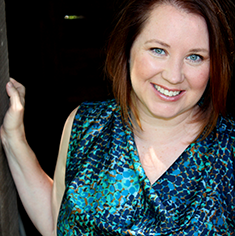 Natalie Marie Collins survived 13 years inside the corporate world. She knew there had to be a better way and figured out how to make a living by taking her office skills home and started working as a Virtual Assistant, learned the ropes of how to create membership areas, branding, marketing, digital products, sales funnels and so much more. She now coaches others on how to build a solid online business by sharing her vast knowledge with others on how they can have an easier and better life through patterns and rhythms that work. She also helps others with the clarity they need in their business + life and practical, actionable steps to be able to move forward and create the business that is right for them. She is also the creator of National Writing Date Day and now co-hosts weekly Writing Dates with Kristen Joy that hold the space for you to be productive and having fun doing it.